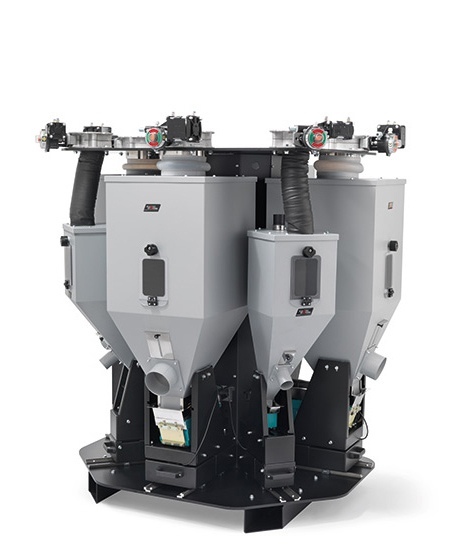 The series of vibrating-channel loss in weight DVM has been designed to automatically and precisely dose masterbatches, additives, plastic granules and flakes. 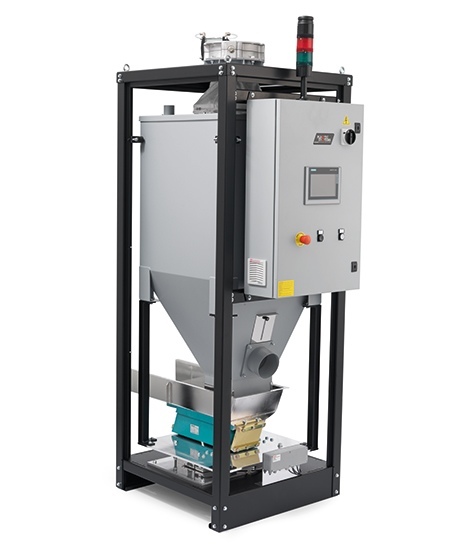 The unit system consists of: Painted steel supporting frame, Weighing system with load cells for material weighing; A high-precision vibrating system operated by an electric mo- tor; the motor transmits the vibration to a duct that dose the product constantly; Storage hopper for materials; Pneumatic slide gate; The system is controlled by a Siemens S7 300 PLC with wei- ghing board and a color touchscreen operator interface. There are two models with different configurations: Single station with vibrating channel from 100 to 300mm for capacities of 100 kg/h. Multi-station from 2 to 5 components with 50 to 200 mm vibra- ting channels for capacities from 100 to 5000kg/h. Easy and quick color change thanks to a complete accessibility to the unit. 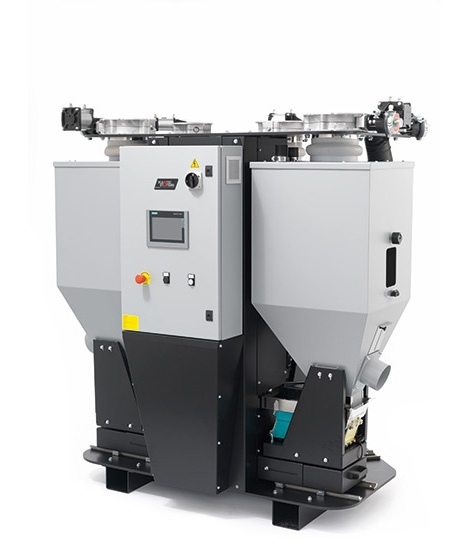 Ideal for installations on twin-screw extruders. The weight-in-loss system shows the actual consumption and the composition of the recipe.